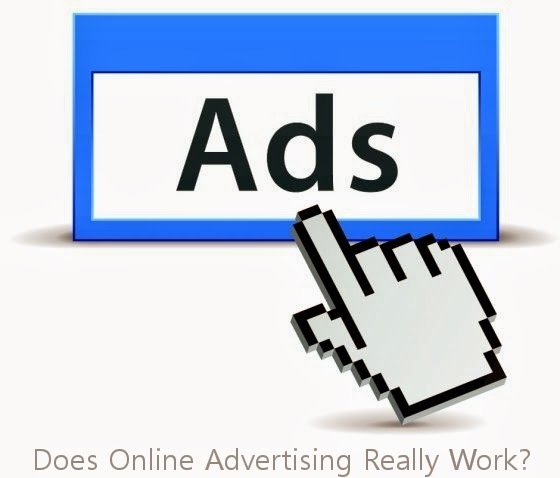 Does Online Advertising Really Work? Does online advertising really work? Yes it does. A lot of people still doubt whether online advertising really works and whether it is of any benefit to their business. Some still opt for old school methods placing adverts in the yellow pages or by relying on word of mouth. Although beneficial to some degree, it's not as effective or cost effective as advertising online. Besides with the growth of the internet and the worlds heavy dependence on it, it makes sense to be where everyone is searching for their solutions. Unfortunately for the people who have yet to venture down this path, with this current economy where word of mouth and the yellow pages just aren’t enough, they are being forced (positively) to consider alternatives. Of course there are people who have tried online advertising and concluded it doesn’t work. This is probably due to a lack of knowledge and expertise when it comes to online advertising. To get the best from your advertising it takes a trained professional to manage your account, although the idea sounds costly, it would save you a lot of money in the long run. Of course advertising will not work if you are advertising in the wrong place. There are a vast amount of platforms to advertise through but the for runner is Google. It makes sense when millions of people take to google daily looking for products, solutions and businesses. Google operates on two networks, the search network (where people are looking for your product or service by googling keyword terms) and the display network (ads and banners that appear on websites, related to your business). There are clearly obvious differences. Firstly, the search network is full of people actively searching for what your business offers, whether that be a solution to a problem or a particular product. the display network is considered interruption marketing because you are displaying ads to people on other websites who may not be interested in your products or service at all. The hope is you grab their attention and they decide you have something to potentially offer. Advertising will also not work if you are general. On the search network (keyword based) if you are not specific enough with your keywords, likely-hood is you will pay a lot of money for traffic (clicks) which may be of no value to you at all. For example, advertising that you sell cheese by using the keyword cheese is far too general. However advertising that you sell Stilton cheese is more specific. The more specific you can be the more reliable your traffic will be and you increase your chances of qualifying leads more often. On the display network aim for high volume traffic websites again will only be detrimental. Advertising that you sell cheese on a garden furniture website is probably not going to benefit your business, rather choose food related websites or recipe blogs. With that said, if your product is considered an impulse buy, you can do very well from advertising in irrelevant places but there is no guarantee. The solution and answer is pretty simple. Online advertising does work, if, you advertise in the right place and in the right manner. According to Sound Solutions Internet online advertising can help increase your revenue 10 fold. Investing into the right market place can be very benefical for your business. Mike Lewis - I'm a retail business owner who uses Google Ad words. I have had a lot of success and would highly recommend it.